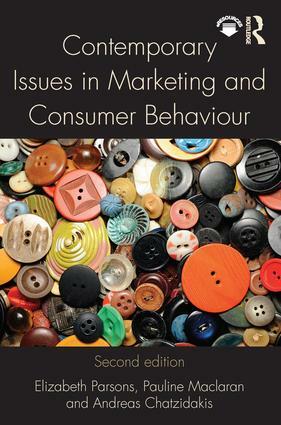 This second edition of Contemporary Issues in Marketing and Consumer Behaviour has been completely revised and updated to keep pace with the latest developments, exploring fresh new themes in brand cultures, postmodernism, gender, ethics and globalisation. * the relationship between marketing and psychoanalysis. This popular text successfully links marketing theory with practice, locating marketing ideas and applications within wider global, social and economic contexts. Written by three experts in the field, this title fills a gap in a growing market interested in these contemporary issues. Mapping neatly to a one-semester module, it provides a complete off-the-shelf teaching package for masters, MBA and advanced undergraduate modules in marketing and consumer behaviour and a useful resource for dissertation study at both undergraduate and postgraduate levels.